Select suitable battery charger,note the charging voltage & current of batteries (pack) must match charger output voltage & current. 1) packing way: by standard carton box,with bubbles outside and foams inside for protection. 3) shipping by international express to your door house,such as SF,DHL,UPS,Fedex,TNT and EMS. 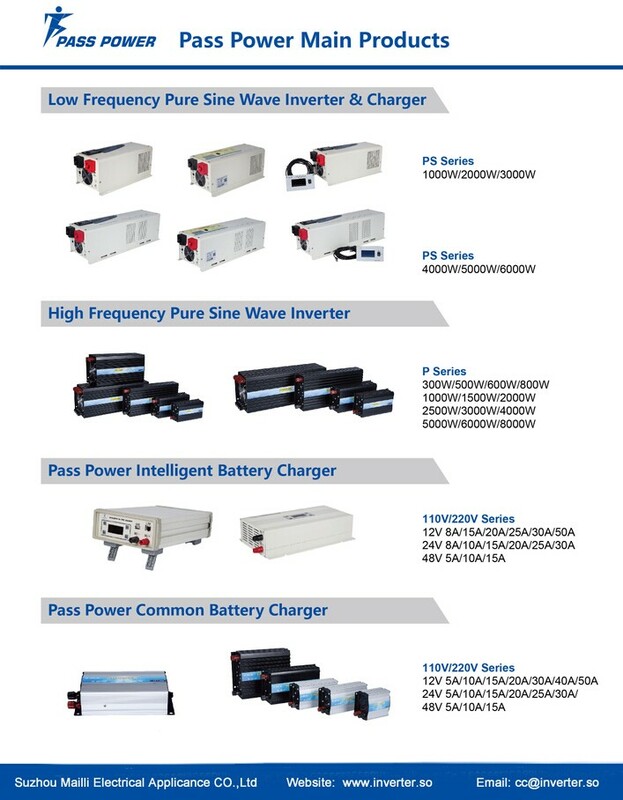 Suzhou Maili Electrical Appliance Co. LTD is a professional manufacture and exporter in the field of inverter, battery charger power supply for more than 10 years. Maili has developed into the modern science and technology enterprise, owing to the convenient location, strong industrial foundation, the advantageous talents teams. Pass Power Team will offer these guides below. A. Need an Accessory? B. Products Repair? C. Power Problems to Solve? D. Power Protection Solutions, etc.? A good supplier can let you half the work with double results! Suzhou Maili Electrical Appliance Co.,Ltd.